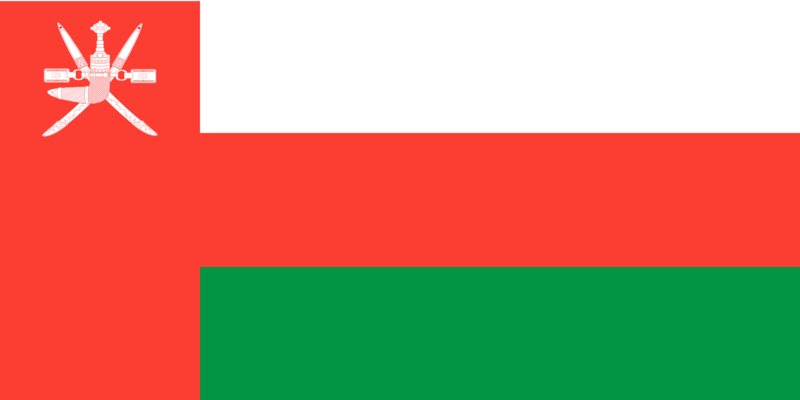 In Arabic, the national flag of Oman is called Alam e Uman.Oman is officially an absolute monarchic state of Arab peninsula, it lies on the southern cost of Arabia. It has borders with UAE, Saudi Arabia, Yemen and maritime boundary with Iran and Pakistan. The sultanate of Oman dates back to centuries. United Kingdom colonized the Sultanate for a short time period. the country’s capital is Muscat and the religion is Islam with 99 percent Muslims. The economy of Oman is flourishing with its oil reserves, it is also the 25th largest oil producing nation in the world. apart from exporting oilm Oman exports dates, fish, and other agricultural products worldwide. Tourism also contributes to the economy. It is also one of the best countries to live with better economic growth than all of its neighbours.